Finally, after a month of fasting, Ramadhan gives way for Syawal to shine. And you know what that means! It's Raya Raya Raya!! This year my in-law decided to host an open house to celebrate our Eid festive by inviting all the relatives and neighbors on the third day of Syawal. This 'open house' is also in conjunction with our Doa Selamat event and to celebrate our daughter 3rd birthday.. The open house begin at lunch hour and people starts to filled up our living hall. We served tea and cookies for the unties and cousins while other guests have their lunch outside. 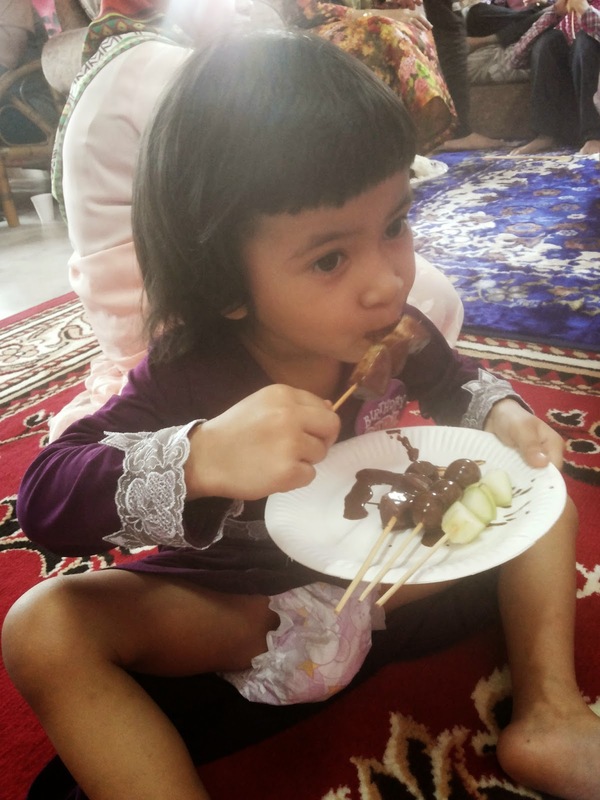 Sorry for the overexposed 'thighty whities' because somebody is way too focus on enjoying her dipped chocolate apple! Can't get her away from chocolate. Of course after a while someone decided to wiped her dirty hands on the dress. Sigh! Then it's time for the cake cutting and presents opening session. 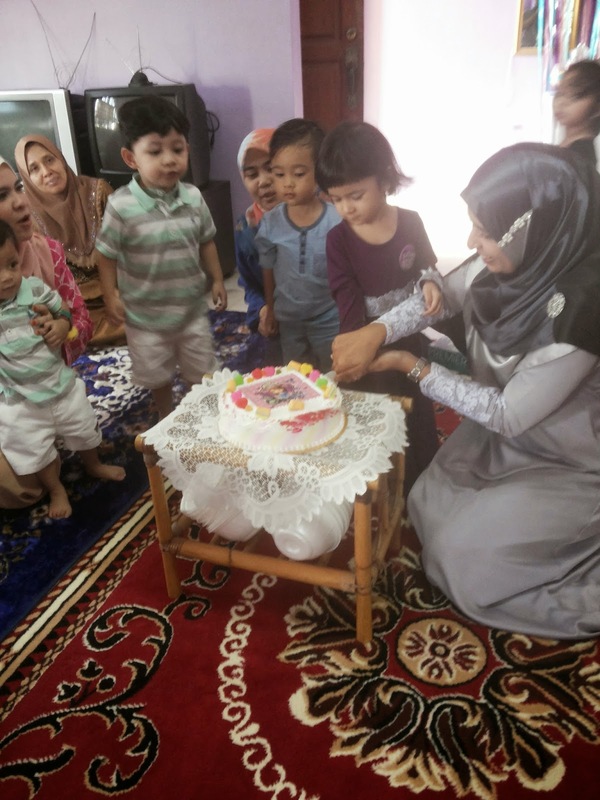 I just love seeing how these lovely kids look so excited singing the birthday song and wanted to blow candles even there is no candle on that cake. 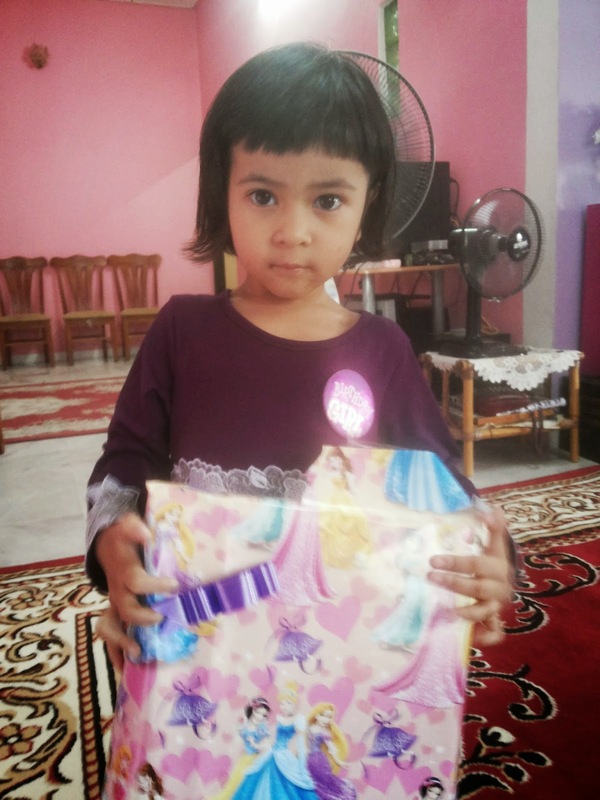 Aulia' was a shy, meek little thing and clung to me when everyone singing her the birthday song. hehe. But somewhat after few minutes she started to really come out of her shell when she received her birthday gifts. The Sophia First cake was sponsored by Mak Yang! 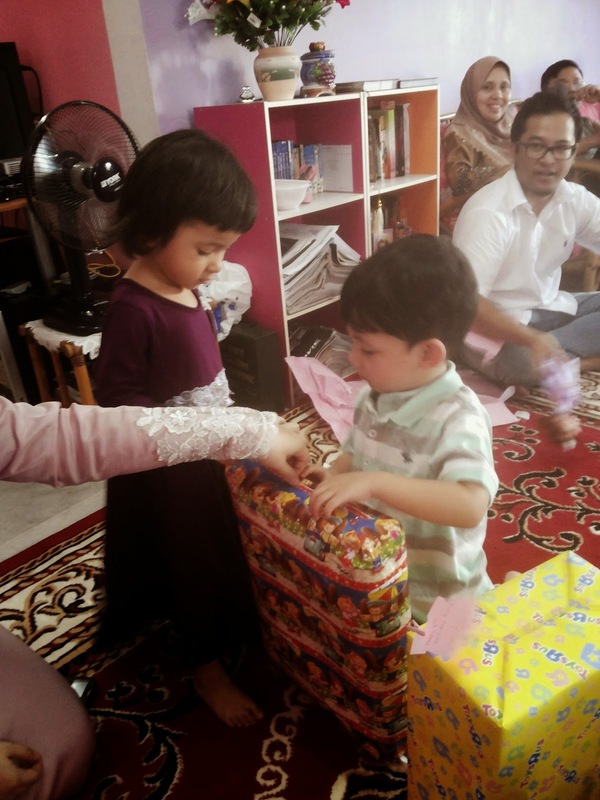 This is Khalif, Aulia's second cousin from father side, giving a helping hand to unwrapped all the gift. So cute! She's quite a patient girl when it comes to opening gift. So much class and self-control, like her mother. lol. 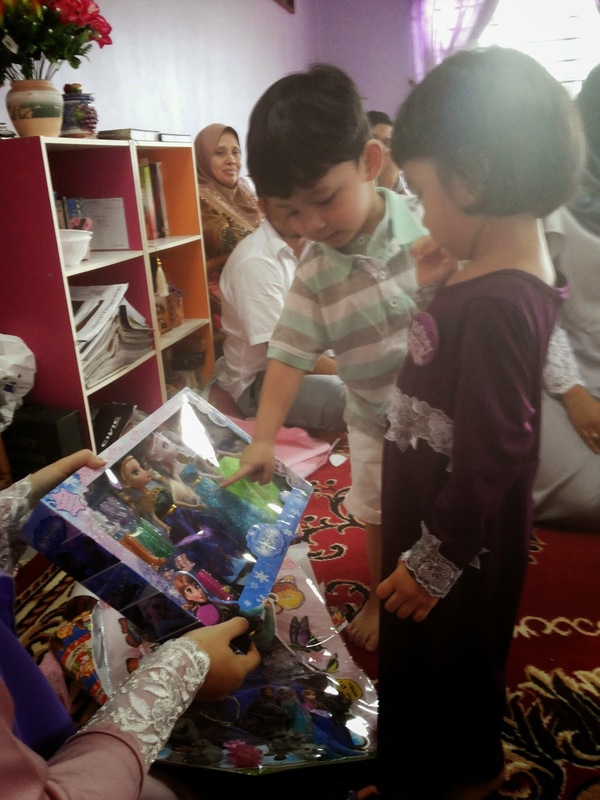 Thank you to everyone who gave presents to Aulia' on her birthday :) Hope ya'all had a GREAT Eid. I know we did. And here to a blessed gathering... one last time family photo before everyone's leaving. done an impressive process and our whole neighborhood might be thankful to you.